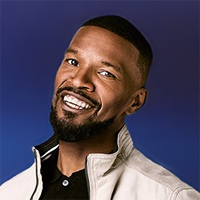 Hollywood: A Story of a Dozen Roses is Jamie Foxx’s fifth studio album. The album was recorded at Jamie’s home studio and released on May 18, 2015 by RCA Records. It debuted at #1 on Billboard’s Top R&B/Hip Hop Albums and R&B Albums charts and #10 on Billboard’s Top 200 chart. 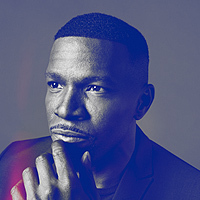 This is Foxx’s third #1 R&B album chart entry and fourth top ten album on the Billboard 200 . The album consists of 15 tracks (18 on the deluxe edition). The first single “You Changed Me” featuring Chris Brown, was released on March 12, 2015. Jamie performed the song for the first time at the iHeartRadio Music Awards on March 29. The music video for the song was released on May 29, 2015. 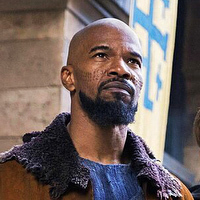 The X-directed clip was shot in Foxx’s mansion and features cameo appearance from “Empire” star Grace Gealey, who plays Jamie’s love interest. The album’s second single “Baby’s In Love” featuring Kid Ink, was released on May 4, 2015. However Jamie didn’t release the video for the song. 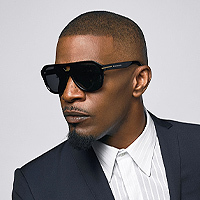 Jamie released the video for his third single “In Love By Now” on November 25, 2015. The star-studded clip takes place on what is to be his wedding day. George Lopez plays the pastor, Tank – his best man, and Nicole Scherzinger plays his bride-to-be. Jamie’s family also appeared in the video including his youngest daughter, Analise and his parents.